Menopause is a term that indicates the end of your menstrual cycles. It is diagnosed after going 12 months without a menstrual period. This can happen in your 40’s-50’s, with an average age of 51 in the United States. In some cases, with a hysterectomy, females may enter menopause earlier in life. Though the end of menstrual cycles may be a natural biological process, it does bring with it physical symptoms. The severity of these symptoms can be influenced by many factors, but it is important to note that these symptoms can be diminished greatly to the point they are no longer felt as the body continues transitioning into adulthood. 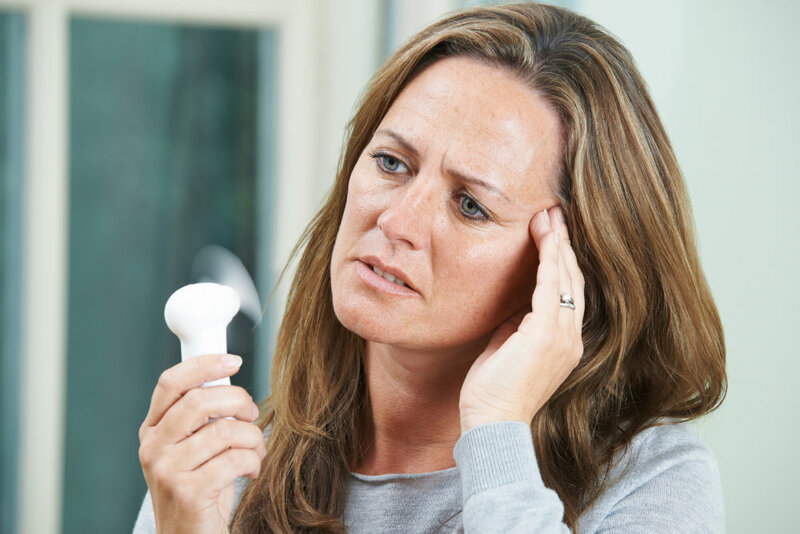 Menopause is not necessarily a disease rather a compilation of symptoms associated with the decline of estrogen production. To address and aid with a smoother transition we will take a thorough history, assess lifestyle habits that include diet, exercise sleep, detoxification of the body, medications/supplements, mental/emotional state and lab work to determine other areas we need to address to resolve the symptoms and improve overall health. Based on the results, we will make the necessary adjustments where appropriate for improved function. Simply providing external estrogen is not sufficient when focusing on a whole body approach for wellness. For this reason, we will also address the function of other glands and holistically balance all, utilizing herbs, dietary changes, supplements, acupuncture or other methods for optimal wellbeing.